KAM Industrial's equipment line is geared towards the needs of tradesmen, contractors and sub-contractors. 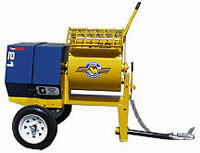 Whatever your masonry equipment needs, we can supply it at the right price. We are continually expanding our inventory to include the latest equipment available, meeting the demands of our customers across Canada. By providing the highest quality equipment on the market at competitive prices, we assist you in completing your project safely, efficiently and affordably. To view our fine selection of equipment, please drop by our location . We look forward to assisting you with your product and equipment needs.